Handpicked wedding bands in Yorkshire to suit all tastes, budgets and venue spaces. Typically they play uptempo, melodic rock, pop and soul music that everyone loves, from the Beatles to Bruno Mars. Experienced all-male wedding function band who have toured with Deacon Blue and The Sugababes. Expect danceable classics by artists such as Queen and The Killers! DJ service available. 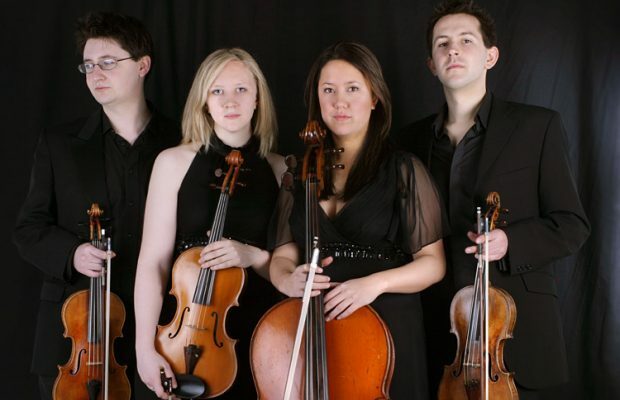 Stunning string quartet who have extensive experience providing music for weddings, corporate events and other functions and perform a wide repertoire of jazz, blues, pop, and Bollywood, in addition to classical wedding music. Top wedding & party band with male and female vocals as well as sax! Acoustic sets and DJ service available. 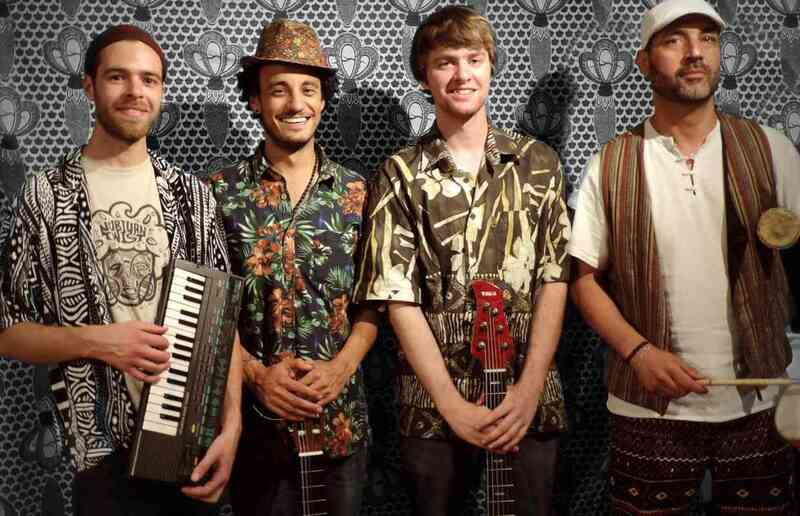 Lively male-fronted band paying homage to the legendary artists of Afro-Brazilian jazz, samba and bossa nova. Smaller line-ups available. What style of music do our Yorkshire wedding bands play? Before you hire a wedding band in Yorkshire, you need to work out what exactly you would like your band to do. Would you like an upbeat and energetic pop covers band to get even your shyest guests on to the dancefloor, or a sophisticated swing band for a more formal occasion? Function Central specialises in wedding bands suitable for any venue, and at a price that won’t dent your drinks budget! Most of our bands will play uptempo, melodic rock, pop and soul music that everyone loves, from the Beatles to Bruno Mars. Smaller line-ups tend to focus on rock and indie, whilst large line-ups play soul, funk and Motown for a stomping, dance floor-filling party soundtrack! But if pop isn’t your thing, we also have bands covering more niche genres such as wedding swing bands, wedding ceilidh bands, ska bands and New Orleans jazz bands. For more options, also see our Yorkshire bands for hire page. Where do our Yorkshire wedding bands perform? Our acts can adapt to fit any party, from a wedding reception in a small room to a function in a large ballroom. Our wedding bands played throughout the county including Hull, Leeds, Bradford, Huddersfield, Wakefield, Halifax, Batley, Dewsbury, Keighley, Castleford, Brighouse, Pudsey, Morley, Pontefract, Shipley, Bingley, Holmfirth, Normanton, Ossett, Yeadon, Rothwell. We've sent our Yorkshire bands to local venues as Cedar Court Hotel, East Riddlesden Hall, Hazlewood Castle, Wentbridge House, Oakwell Hall, Kings Croft Hotel and Holdsworth House, as well as venues throughout the UK and internationally.